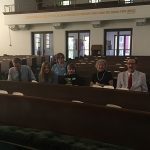 Though church attendance world wide and here in the USA is waning, for the vast majority of us Romicks and Stirmels and other related families, church is still central to our daily lives and a big part of who we are. From weekly worship services to opportunities to serve our communities, church plays a big part of our lives. Most of us were dedicated there as babies and have had our own children dedicated at church. We’ve been baptized, married and will have our funeral services in church. Some of our closest friendships have developed at church, through Sunday School, youth group, choir and other church related groups. And we all have memories of summers at VBS, youth group and couples clubs retreats, drama group presentations, and special holiday services at Christmas, Easter and Thanksgiving. 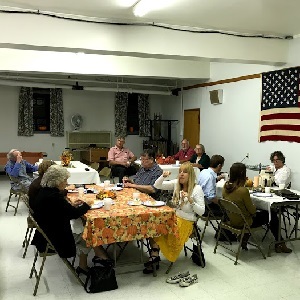 Our churches are such an integral part of our lives that we often celebrate non-church related activities there, like baby showers, birthday parties and family reunions. 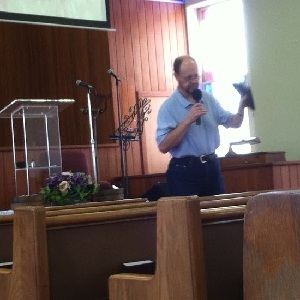 I’ve shared some pictures of our families at church. Some of them are during official church activities and others are family celebrations held at church. 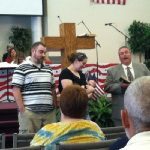 These first three were taken at Mills Chapel Baptist Church in Newnan, GA. 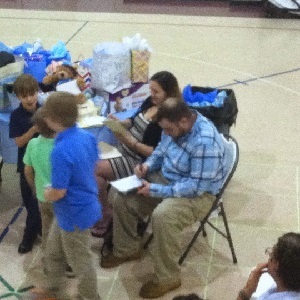 The first is a baby shower for Brandi on April 27, 2014, just a month before Trenton was born. Then there’s a two-photo montage taken on June 1, 2014. 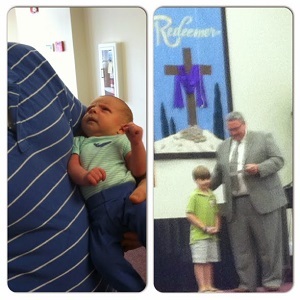 That was the first day Trenton went to church and when Travis was recognized for his kindergarten graduation. 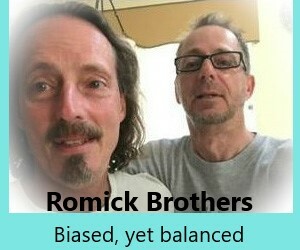 And the third was unofficially “Romick Day” at church, June 29, 2014. Trenton was dedicated that day and Toby and Travis were both baptized. Next is Eric Romick preaching at First Baptist Church of Nocatee, FL on September 22, 2013. I was in the area that week for a JOY FM Sharathon and surprised Eric and Sabrina by showing up unannounced for Sunday worship service. 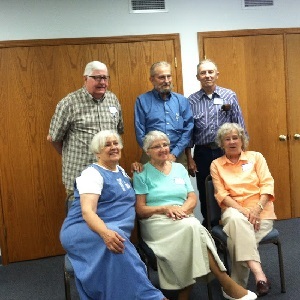 Then there’s the “First Generation” group shot from the June 27, 2015 Stirmel Family Reunion held at Delevan Christian Reformed Church in Wisconsin. 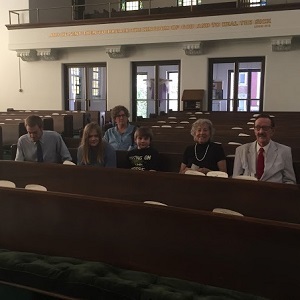 Then here’s a Romick family photo just minutes before the July 9, 2017 worship service at Agape Baptist Church in Wheeling, WV. And finally, the Romicks gather in the fellowship hall at First Baptist Church Martins Ferry, OH on October 10, 2017 after the visitation for Dad, the evening before his funeral. 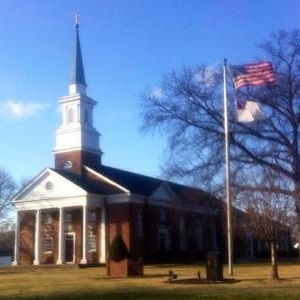 The church at the top of this post is Van Riper-Ellis Memorial Baptist Church in Fair Lawn, NJ. It sits on the corner of River Road and Morlot Avenue. Dad served there as associate pastor from 1960 – 1964 and as senior pastor from 1969 – 1974.